If the mention of Latin America conjures up images of ancient ruins, colourful markets, colonial cities and of course, the mighty Amazon, then look no further than Peru which has it all. And more. Most city dwellers understandably choose to bypass the capital Lima, but for anyone with even a passing interest in gastronomy, this oceanside city is home to some of the continent's best restaurants, many of which are well worth visiting and we recommend at least two to three nights to get a sampling of Lima's innovative cuisine. 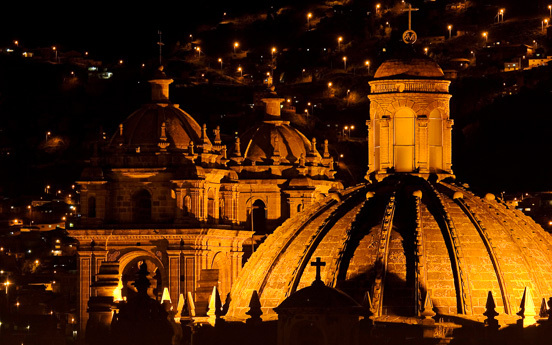 A short flight to the east takes you to the colonial city of Cusco. One of our favourite things about Peru is that once you arrive in Cusco, you can visit so many places travelling overland which is a rarity in Latin America. From the airport, drive down into the Sacred Valley to explore lovely markets and some of the lesser known Incan Ruins before setting off to the jewel in Peru's crown - Machu Picchu. 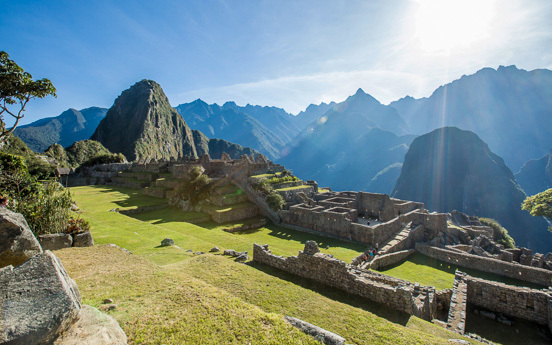 Whether you choose the luxury lodge to lodge trek, or camp along the Inca Trail or simply take the train up to the ruins, you will not be disappointed by this impressive ancient citadel. A couple of nights back in the beautiful colonial city of Cusco rounds off a trip to this region of Peru, after which the options are endless. Culture vultures can travel by train on one of the country's most scenic journeys to Lake Titicaca, believed in Andean culture to be the birthplace of the mother and father of the Incas, as well as the birthplace of the sun. The islands are home to pre Incan temples, while today's inhabitants still dress in traditional brightly woven Peruvian clothes. 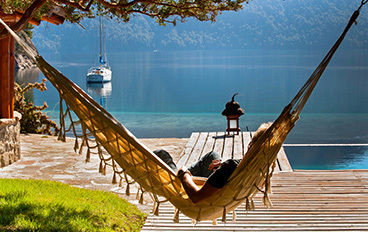 If wildlife is more your cup of tea, head into the Peruvian Amazon. Taking a small luxury cruise along the river from Iquitos or go deep into the Tambopata Reserve are the ultimate ways to explore and get to know the jungle, and there are also some fabulous lodges if you are happy to swap luxury for something a little more rustic. Finally, for those who have a little more time to explore, we can also arrange trips to the stunning UNESCO World Heritage site of Arequipa, flights over the mysterious Nazca Lines and stays at the Colca Canyon, where the adventurous can enjoy some trekking and rafting, or you can simply marvel at the breathtaking scenery and watch the condors circling above you at Condor Cross. The Marine Iguana, which can be found in the Galapagos Islands, has the unique capability of living and foraging in the ocean. This marine reptile can dive up to 9m in search of food. Arrive in Lima and spend tonight at the brand new Hotel B in Lima’s up and coming neighbourhood, Barranco. Lima is Latin America’s gastronomic capital and there is no shortage of top class restaurants for you to sample this evening. Spend the next three night aboard the luxurious Aria Amazon cruise, exploring Peru’s slice of this mighty river. Accommodating just 32 guests, each of the spacious cabins onboard features floor to ceiling windows so you never miss a moment. Experienced naturalist guides accompany small groups on excursions up to three times a day in search of caiman, pirhanas, snakes, iguanas and turtles among a wealth of other wildlife. Upon leaving the Amazon you will be heading to the highlands, where you will spend two days in the Sacred Valley staying at the charming Sol y Luna lodge. Individual bungalows are spread around the extensive tropical gardens and the surrounding area makes the perfect introduction to Peru’s vibrant culture. 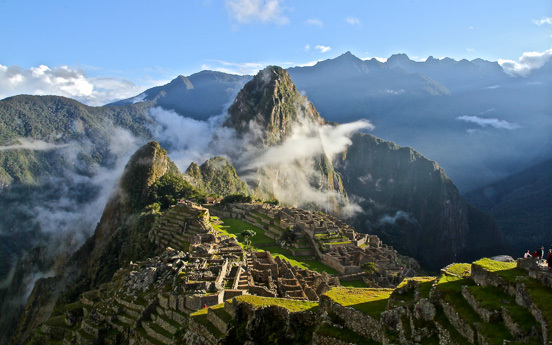 Depart by train to the famous Incan ruins of Machu Picchu and spend the afternoon exploring the ancient citadel. Return to the village in the evening for a night at Inkaterra Machu Picchu Pueblo, where open fireplaces and warm Alpaca blankets create a laid-back yet luxurious atmosphere. After an early morning visit back at the ruins (or a climb up Huayna Picchu if you are feeling active) return to Cusco the exclusive Hiram Bingham train as you enjoy a delicious dinner. Spend two night in Cusco at the boutique La Casona hotel and soak up Cusco’s vibrant atmosphere as you wander around the town’s cobbled streets. Return to Lima in time for your international flight.